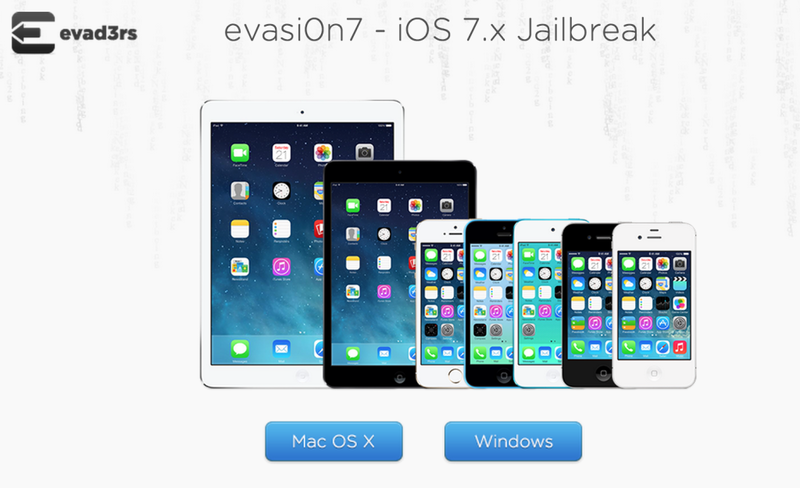 Everybody has been waiting for an iOS 7 jailbreak and it is finally here, thanks to the evad3rs team and their new program, Evasi0n7. The program will jailbreak any iPhone, iPod Touch, iPad and iPad Mini models running iOS 7 through iOS 7.0.4. The jailbreak process is fairly simple but for those jailbreaking for the first time, a tutorial is essential. Below, you can find step-by-step instructions on how to perform the jailbreak, along with a video tutorial. Step 1: Download evasi0n7 for Mac here. Step 2: Double click the evasi0n7 program to open it. Step 3: If your device has a passcode set, unlock your device and go to Settings > General > Passcode Lock > and select Turn Passcode Off. Step 4: Plug the device into your computer and wait for evasi0n to recognize it. Step 5: Click the Jailbreak button after the program recognizes your device. Step 1: Download evasi0n7 for Windows here. If you run into any problems or your device locks up, put the device into DFU mode and restart the process all over again. If you have any simple or technical questions, feel free to leave them below and I’m sure I or another visitor will answer your question the best way we can.